The unbeatable Celtics are home Friday night against their old rival the 76ers. The Bruins are playing in Boston against the visiting Rangers on Saturday night. And of course the San Diego Chargers are in town on Sunday to face the unbeaten Pats for the right to go to the Superbowl. 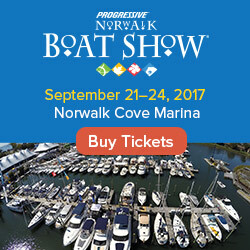 But if you want to go to an event that you can interact with, then make plans to go to New England’s largest in-door boat show this weekend. Visit the 2008 New England Boat Show at the Boston Convention and Exhibition Center - it ends Sunday 1/20. I put a lot of thought into purchasing the web domain name "FirstBoat.com" back in 1999. In fact, I even purchased the alternate spelling "1stBoat.com" so that people wouldn't get confused (When I tell people the web address verbally, I'm often asked if FirstBoat spelled with a "1" or if "F-i-r-s-t" is spelled out, and I have the planned-luxury of simply answering, "either way will get you to the site"). That started to change a couple of years ago, when I received an email that was intended for somebody else. It was from a web developer who had just completed work for a website and was trying to send their client a test email. They sent it to me instead, and the reason for the confusion was clear: The client's web address was Firstboat.BIZ! I figured the new .biz website would come and go like so many other nautical sites over the years, so I didn't pay much attention. However, last week we received an email from a potential client of Firstboat.BIZ who was confused - they contacted FirstBoat.com by mistake when they were trying to contact the .BIZ folks. And then today, I saw my site in the news! But it wasn't my site after all - it was the .BIZ folks using the name "First Boat" without the ".biz" at the end in the title of their press release, leaving readers confused about whether it was a release from the .Biz folks who make some sort of row boats, or from us - the original FirstBoat providing information to boaters since 1999. Slightly different business models, but still both are in the boating industry. 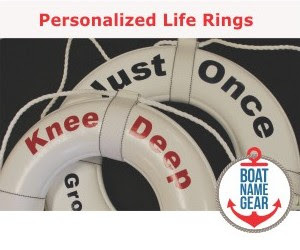 If the new .biz folks start trying to use the name "First Boat" without differentiating their name from us by saying ".biz" at the end, I think a lot of people will start to get confused and the brand that I've been building since 1999 will start to get diluted. Your legal advice is welcome. With a forecast of snow looming here in the Northeast, I needed to hear this song in a bad way. I found this excellent and recent rendition on YouTube, with Jimmy playing solo in front of 60,000 fans in Foxboro (Go Patriots!!). Hope you enjoy this as much as I did! Of course, as I mentioned last post, don't drink and boat. BTW, Boat Drinks would make a great boat name, wouldn't it? Despite the headline, there is good news out of Kansas City, MO, where the Missouri Water Patrol is reporting the lowest number of boating accidents and fatalities in 20 years on the waterways they watch. According to the Kansas City Star, the MWP's spokesman pointed out the frightening statistic that "last year in some areas an average of one in six nighttime boat drivers was intoxicated." He said average. That means in some areas, the number of intoxicated boaters on the water on time might have been even higher than one in six. Scary stuff. Sure, it's Florida, but damn the water's cold in the Gulf this time of year. But not too cold for jellyfish! In any event it is nice to hear about a rescue, especially after this guy spent 14 hours clinging to the side of his capsized boat after being swamped by a passing fishing vessel. It seems like around this time of year all we talk about are boat shows. But heck, it's damn cold in Connecticut and boat shows seem to warm my inner core. Especially when they're in San Diego. The 20th annual San Diego Boat Show is being held January 3 to 6 at the San Diego Convention Center and Marriott Marina. Learn more about the show here and here. Happy New Year from Daily Boater, and yes, if you have been thinking about it for some time, now officially is the time to buy a new boat. 2008 is your year. Think about it. Interest rates are down, 2007 boat sales are down, so boat sellers will likely be willing to make a deal that you can afford. It's time to get into boating with your first boat, or move up to the next level - Yes, your boat's too small (Isn't it always?) Anyway, go buy a boat - we'll be with you every step of the way.